Prince Alfred was born at Windsor Castle to the reigning British monarch, Queen Victoria, and her husband, Prince Albert of Saxe-Coburg and Gotha, the second son of Ernst I, Duke of Saxe-Coburg and Gotha. He was second in the line of succession behind his elder brother, the Prince of Wales. He was known to his family as "Affie", after a childhood mispronunciation of the name "Alfred". In 1856 it was decided that Prince Alfred, in accordance with his own wishes, should enter the Royal Navy. A separate establishment was accordingly assigned to him, with Lieutenant Sowell, R. E., as governor. He passed the examination in August 1858, and was appointed as midshipman in HMS Euryalus at the age of 14. In July 1860, while in this ship, he paid an official visit to the Cape Colony, and made a very favourable impression both on the colonials and on the native chiefs. He took part in a hunt at Hartebeeste-Hoek, resulting in the slaughter of large numbers of game animals. On the abdication of King Otto of Greece, in 1862, Prince Alfred was chosen to succeed him, but the British government blocked plans for him to ascend the Greek throne, largely because of the Queen's opposition to the idea. 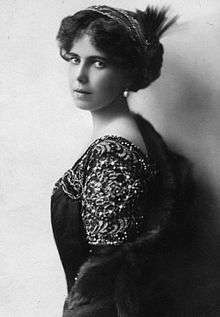 She and her late husband had plans for him to succeed to the Duchy of Saxe-Coburg. 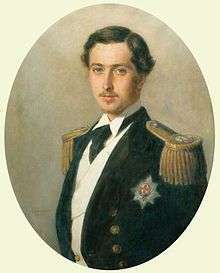 Alfred remained second-in-line to the British throne from his birth until 8 January 1864, when his older brother Edward and his wife Alexandra of Denmark had their first son Prince Albert Victor. Any legitimate children of his older brother took priority in the succession list. Alfred became third-in-line to the throne and as Edward and Alexandra continued to have children, Alfred was further demoted in the order of succession. While still in command of the Galatea, the Duke of Edinburgh started from Plymouth on 24 January 1867 for his voyage round the world. On 7 June 1867, he left Gibraltar, reached the Cape of Good Hope on 24 July and paid a royal visit to Cape Town on 24 August 1867 after landing at Simon's Town a while earlier. He landed at Glenelg, South Australia, on 31 October. Being the first member of the royal family to visit Australia, the Duke was received with great enthusiasm. During his stay of nearly five months he visited Adelaide, Melbourne, Sydney, Brisbane and Tasmania. Adelaide school Prince Alfred College was named in his honour to mark such an occasion. On 12 March 1868, on his second visit to Sydney, he was invited by Sir William Manning, President of the Sydney Sailors' Home, to picnic at the beachfront suburb of Clontarf to raise funds for the home. At the function he was wounded in the back by a revolver fired by Henry James O'Farrell. The Prince was shot just to the right of his spine, and was tended for the next two weeks by six nurses, trained by Florence Nightingale and led by Matron Lucy Osburn, who had just arrived in Australia in February 1868. In the violent struggle during which the Duke was shot, William Vial had managed to wrest the gun away from O'Farrell until bystanders assisted. Vial, a master of a Masonic Lodge, had helped to organise the picnic in honour of the Duke's visit and was presented with a gold watch for securing the life of the Duke. Another bystander, George Thorne, was wounded in the foot by O'Farrell's second shot. O'Farrell was arrested at the scene, quickly tried, convicted and hanged on 21 April 1868. Prince Alfred soon recovered from his injury and was able to resume command of his ship and return home in early April 1868. He reached Spithead on 26 June 1868, after an absence of seventeen months. He visited Hawaii in 1869 and spent time with the royal family there, where he was presented with leis upon his arrival. He was also the first member of the Royal Family to visit New Zealand, arriving in 1869 on HMS Galatea. The Duke of Edinburgh also became the first European prince to visit Japan and on 4 September 1869, he was received at an audience by the teenaged Emperor Meiji in Tokyo. The Duke's next voyage was to India, where he arrived in December 1869 and Ceylon (now Sri Lanka), which he visited the following year. 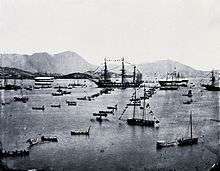 In both countries and at Hong Kong, which he visited on the way, he was the first British prince to set foot in the country. The native rulers of India vied with one another in the magnificence of their entertainments during the Duke's stay of three months. In Ceylon a reception was given for the duke, by the request of the British, by Charles Henry de Soysa, the richest man in Ceylon, at his private residence which was consequently renamed, by permission, Alfred House; the duke ate off gold plates with gold cutlery reportedly inlaid with jewels. On 23 January 1874, the Duke of Edinburgh married the Grand Duchess Maria Alexandrovna of Russia, the second (and only surviving) daughter of Emperor Alexander II of Russia and his wife Marie of Hesse and by Rhine, daughter of Ludwig II, Grand Duke of Hesse and by Rhine and Wilhelmine of Baden, at the Winter Palace, St Petersburg. To commemorate the occasion, a small English bakery made the now internationally popular Marie biscuit, with the Duchess' name imprinted on its top. The Duke and Duchess of Edinburgh made their public entry into London on 12 March. The marriage, however, was not a happy one, and the bride was thought haughty by London Society. She was surprised to discover that she had to yield precedence to the Princess of Wales and all of Queen Victoria's daughters and insisted on taking precedence before the Princess of Wales (the future Queen Alexandra) because she and her father the Tsar considered the Princess of Wales' family (the Danish Royal Family) as inferior to their own. Queen Victoria refused this demand, yet granted her precedence immediately after the Princess of Wales. Her father gave her the then-staggering sum of £100,000 as a dowry, plus an annual allowance of £28,000. The Duke of Edinburgh was stationed in Malta for several years and his third child, Victoria Melita, was born there in 1876. Promoted rear-admiral on 30 December 1878, he became admiral superintendent of naval reserves, with his flag in the corvette HMS Penelope in November 1879. Promoted to vice-admiral on 10 November 1882,he became Commander-in-Chief, Channel Fleet, with his flag in the armoured ship HMS Minotaur, in December 1883. He became Commander-in-Chief, Mediterranean Fleet, with his flag in the armoured ship HMS Alexandra, in March 1886, and having been promoted to admiral on 18 October 1887, he went on to be Commander-in-Chief, Plymouth in August 1890. He was promoted to Admiral of the Fleet on 3 June 1893. Percy Scott wrote in his memoirs that "as a Commander-in-Chief, the Duke of Edinburgh had, in my humble opinion, no equal. He handled a fleet magnificently, and introduced many improvement in signals and manoeuvring." He "took a great interest in gunnery." "The prettiest ship I have ever seen was the [The Duke of Edinburgh's flagship] HMS Alexandra. I was informed that £2,000 had been spent by the officers on her decoration." 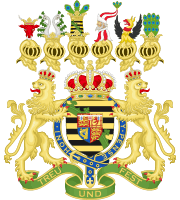 On the death of his uncle, Ernest II, Duke of Saxe-Coburg and Gotha on 22 August 1893, the duchy fell to the Duke of Edinburgh, since The Prince of Wales (before he married) had renounced his right to the succession. Alfred thereupon surrendered his British allowance of £15,000 a year and his seats in the House of Lords and the Privy Council, but he retained the £10,000 granted on his marriage to maintain Clarence House as his London residence. At first regarded with some coldness as a "foreigner", he gradually gained popularity. By the time of his death in 1900, he had generally won the good opinion of his subjects. The Duke of Saxe-Coburg died of throat cancer on 30 July 1900 in a lodge adjacent to Schloss Rosenau, the ducal summer residence just north of Coburg. He was buried at the ducal family's mausoleum in the Friedhof am Glockenberg in Coburg. 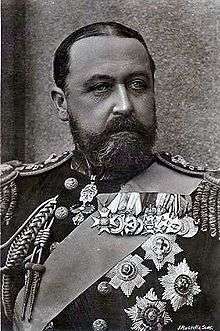 :47 He was succeeded as the Duke of Saxe-Coburg and Gotha by his nephew, Prince Charles Edward, Duke of Albany, the posthumous son of his youngest brother, Prince Leopold, Duke of Albany because Alfred's next brother, The Duke of Connaught, and his son, Prince Arthur of Connaught, had renounced their succession rights to the Duchy of Saxe-Coburg and Gotha. Royal Prince Alfred Hospital in Sydney, opened during his visit to Australia in 1868, and still one of the biggest hospitals in the city, is named for him. The Alfred Hospital in Melbourne, again one of the busiest in the country, is also named after him. The Foundation Stone for Prince Alfred College, an all-boys K-12-day and boarding school in Adelaide, was laid by the Prince himself, during his visit in 1867. This prestigious college has the biggest Old Scholars Association in the Southern Hemisphere, and has educated several outstanding citizens. There is also a Prince Alfred Park in Sydney and Prince Alfred Square in Paramatta. In Simon's Town, Prince Alfred Hotel was built in 1802, and renamed after the prince visited the Cape province in 1868. For more than two centuries Simon's town has been an important naval base and harbour (first for the Royal Navy and now the South African Navy). The former hotel now houses the Backpackers' hostel, opposite the harbour in the main street. Port Elizabeth's 2010 FIFA World Cup stadium was constructed in Prince Alfred Park. In Cape Town during his visit in 1868, Prince Alfred ceremoniously tipped the first load of rock to commence the building of the Breakwater. This was built by convict labour and formed the protective sea wall for the new Cape Town Harbour, now redeveloped as the Victoria and Alfred Waterfront and a popular tourist and shopping destination. Prince Alfred sailed into Port Elizabeth on 6 August 1860 as a midshipman on HMS Euryalus and celebrated his 16th birthday among its citizens. Seven years later he sailed into Simon's Town as the Captain of HMS Galatea. There was a Prince Alfred Hospital in Grahamstown for many years. The Alfred Rowing Club was established in 1864 and was housed under the pier at Table Bay. 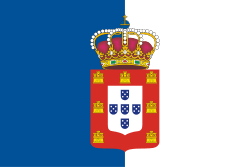 It was named after Prince Alfred, Duke of Edinburgh, who visited the Cape in the 1860. It is the oldest organised sporting club in South Africa. The Prince Alfred Primary School is situated in Pietermaritzburg. The Port Elizabeth Rifle Corps was formed in 1856 under Sir George Grey’s scheme to have a volunteer force to help secure the borders of the Cape Colony. Four years later the it provided a Royal Guard to Prince Alfred and reportedly bore itself so well that, at the suggestion of the Governor, the Prince gave permission for it to be renamed Prince Alfred's Guard. It bears the name to the present day. The Port Elizabeth chapter of the Memorable Order of the Tin Hat, a veterans association, is known as the Prince Alfred Shellhole. Alfred's full style in the United Kingdom at his death was His Royal Highness The Prince Alfred Ernest Albert, Duke of Saxe-Coburg and Gotha, Duke of Edinburgh, Earl of Ulster, Earl of Kent, Knight of the Most Noble Order of the Garter, Knight of the Most Ancient and Most Noble Order of the Thistle, Knight of the Most Illustrious Order of St Patrick, Knight Grand Cross of the Most Honourable Order of the Bath, Knight Grand Commander of the Most Exalted Order of the Star of India, Knight Grand Cross of the Most Distinguished Order of St Michael and St George, Knight Grand Commander of the Most Eminent Order of the Indian Empire, Knight Grand Cross of the Royal Victorian Order, Member of Her Majesty's Most Honourable Privy Council, Knight of the Order of the Black Eagle, Knight of the Star of Schwarzenberg, Knight of the Order of the Golden Fleece, Knight of the Order of the Most Holy Annunciation, Knight of the Legion of Honour, Knight of the Order of St. Stephen, Knight of the Order of St. Andrew, Osmanieh of the Ottoman Empire. In Germany his style and titles included Seine Königliche Hoheit Herzog von Sachsen-Coburg und Gotha, Herzog zu Sachsen, Prinz von Großbritannien und Irland, Herzog von Edinburg, Herzog zu Jülich, Kleve, und Berg, zu Engern und Westfalen, Graf von Ulster und von Kent, Landgraf in Thüringen, Markgraf zu Meissen, gefürsteter Graf zu Henneberg, Graf zu der Mark und Ravensberg, Herr von Ravenstein und Tonna, which translates to Duke of Saxe-Coburg and Gotha; Duke in Saxony; Prince of Great Britain and Ireland; Duke of Edinburgh; Duke of Jülich, Cleves and Berg, of Angria and Westphalia; Earl (Count) of Ulster and Kent; Landgrave in Thuringia; Margrave of Meissen; Princely Count of Henneberg; Count of the Mark and Ravensberg; Lord of Ravenstein and Tonna. 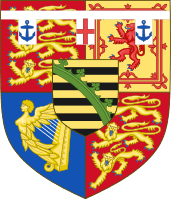 Prince Alfred gained use of the royal arms of the United Kingdom, charged with an inescutcheon of the shield of Saxony, the whole differenced by a label argent of three points, the outer points bearing anchors azure, and the inner a cross gules. 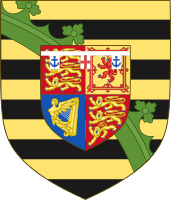 When he became the Duke of Saxe-Coburg and Gotha, his Saxon arms were his British arms inverted, as follows: the ducal arms of Saxony charged with an inescutcheon of the royal arms of the United Kingdom differenced with a label argent of three points, the outer points bearing anchors azure, and the inner a cross gules. ↑ The London Gazette: no. 20382. p. 3149. 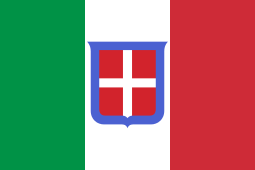 10 September 1844. Retrieved 12 July 2009. 1 2 3 4 5 6 7 8 One or more of the preceding sentences incorporates text from a publication now in the public domain: Barwick, George Frederick (1911). "Alfred Ernest Albert". In Chisholm, Hugh. Encyclopædia Britannica. 1 (11th ed.). Cambridge University Press. p. 584. ↑ "Progress of His Royal Highness, Prince Alfred Ernest Albert, through the Cape Colony, British Kaffraria, the Orange Free State, and Port Natal in the year 1860"
↑ The London Gazette: no. 23119. p. 3127. 25 May 1866. ↑ Vial, William. "Gold Watch presented by the Duke of Edinburgh". Realia. State Library of NSW. Retrieved 21 May 2014. ↑ "Emily Nuttall Thorne - 'Clontarf', an account of the attempted assassination of Prince Alfred, Duke of Edinburgh, at Clontarf on 12 March 1868". diary. State Library of NSW. Retrieved 21 May 2014. ↑ Prins, Stephen. "The day the Queen came to Queen's Road". Sunday Times. Retrieved 5 November 2015. ↑ Boyle, Richard. "A right royal tour". Sunday Times. Retrieved 5 November 2015. ↑ Amerasinghe, Dr. A.R.B. 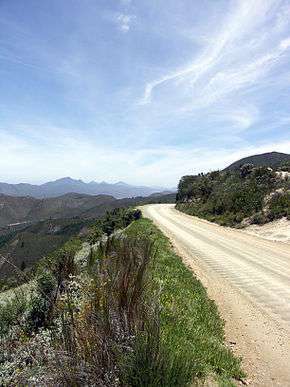 "Bagatelle Road – will it be gone with the wind?". Sunday Times (Sri Lanka). Retrieved 5 November 2015. ↑ La Tienda. "2-Pack Maria Cookies by Cuetera". Archived from the original on 27 September 2007. Retrieved 9 November 2007. ↑ The London Gazette: no. 25749. p. 5653. 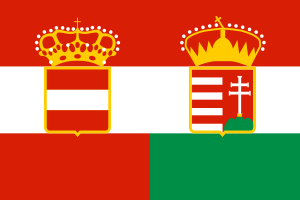 21 October 1887. Retrieved 29 December 2014. ↑ "Right Honourable no more". BBC News. ↑ Klüglein, Norbert (1991). Coburg Stadt und Land (German). Verkehrsverein Coburg. ↑ Reed, Alexander Wyclif (1975). Place Names of New Zealand. A. H. & A. W. Reed. p. 9. ISBN 9780589009335. Retrieved 31 July 2013. After Prince Alfred, Duke of Edinburgh, the second son of Queen Victoria. The Duke visited New Zealand in 1869 as a post captain in HMS Galatea, and twice in 1870. ↑ Archived 15 November 2008 at the Wayback Machine. ↑ Archived 15 May 2008 at the Wayback Machine. ↑ Archived 12 June 2009 at the Wayback Machine. ↑ Courtney, Nicholas (2004). The Queen's Stamps. ISBN 0-413-77228-4, pages 28–29. ↑ Sandner, Harold (2001) . "4.0 Herzog Alfred". Das Haus von Sachsen-Coburg und Gotha 1826 bis 2001 (in German). Andreas, Prinz von Sachsen-Coburg und Gotha (preface). 96450 Coburg: Neue Presse GmbH. p. 119. ISBN 3-00-008525-4. ↑ The London Gazette: no. 27083. p. 3335. 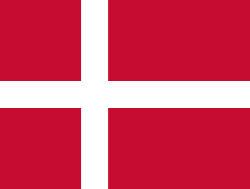 26 May 1899.